Chicken and goose eggs. Both the domesticated chicken (Gallus domesticus) and the domesticated goose (Anser anser domesticus) are farmed for their eggs and meat. 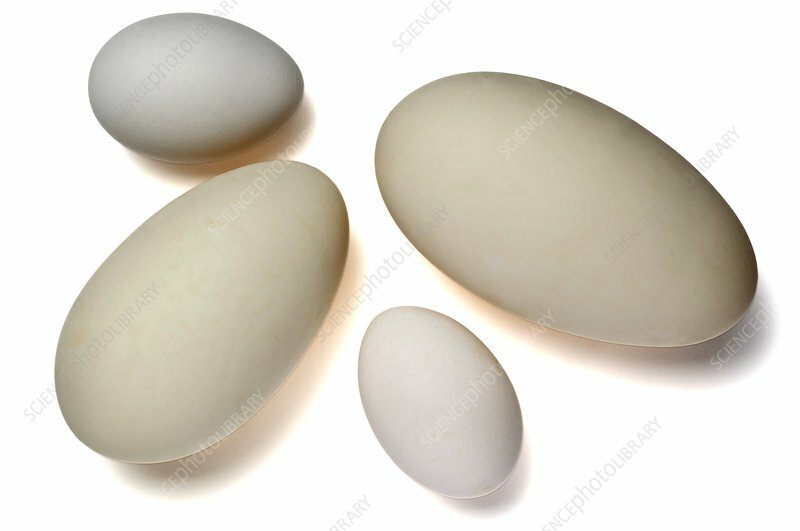 Chicken eggs are typically just under 6 centimetres in length, while a goose egg is typically around 10 centimetres in length. Both types of egg are edible, though the goose egg is normally eaten as a delicacy.